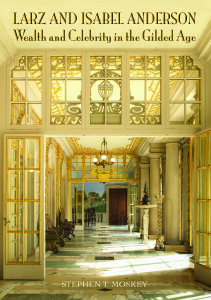 Since the publication of my biography of Isabel and Larz Anderson in 2016, people have asked me where my fascination (or some might say – my obsession) with the Gilded Age came from. I blame it all on Mark Twain. 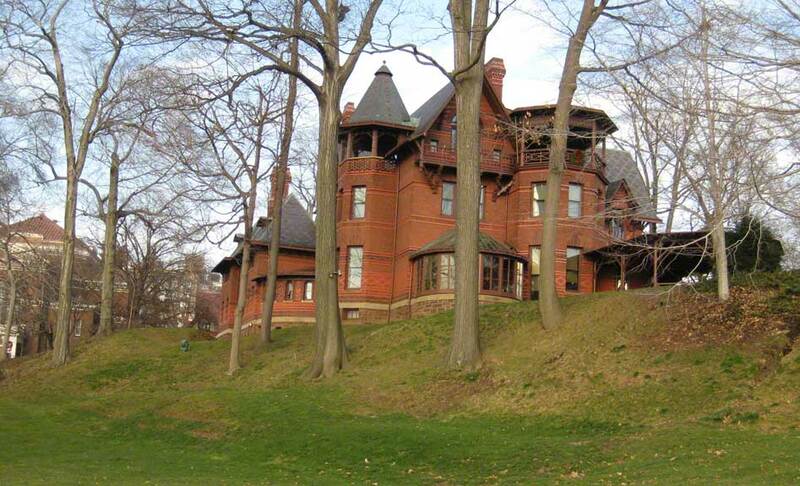 In 1960, my family moved to West Hartford, Connecticut, into a neighborhood that included a number of Gilded Age homes, many of which easily qualify as villas and mansions. (Our little house, a classic 1950s Cape Cod, was out of place, built where a carriage house had once stood. Today’s zoning and historic preservation laws would probably not have allowed its construction.) I started delivering newspapers to the neighborhood. 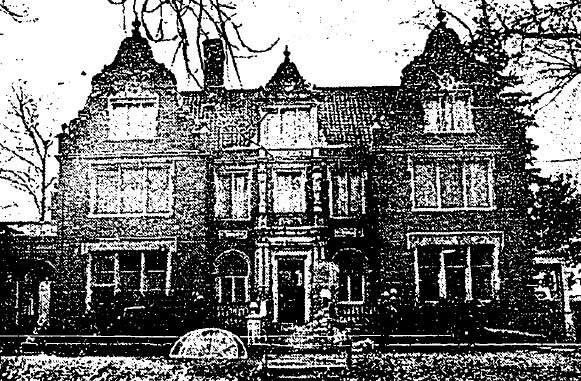 One of the houses on my route was known as the Enders Mansion, and it was in a style that I have since come to love: Flemish Renaissance Revival. The immense front hall, lit by a stained-glass window two stories high, had suits of armor standing permanently at attention. As a ten-year-old who had spent the first decade of life in a small agricultural town, I had never seen anything like this! The other interesting feature of our new neighborhood was that we were little more than a half-mile from Mark Twain’s house – a 20 minute walk from home. At some point during our first year in town, I walked down to the house one day after school. I came home and told my mother that I had wanted to go inside, “but the lady who answered the door said it costs 10¢,” I said. My mother promised to give me a dime the next time I went. The same woman answered the door on my second visit. She was a live-in caretaker of some sort whose job it was to admit the occasional visitor and keep an eye on the place. She seemed surprised that a child came to visit alone, but she took the dime and walked me through the house silently. Without any narration, I was left to imagine on my own the people and events that might have once filled Mr. Twain’s house. 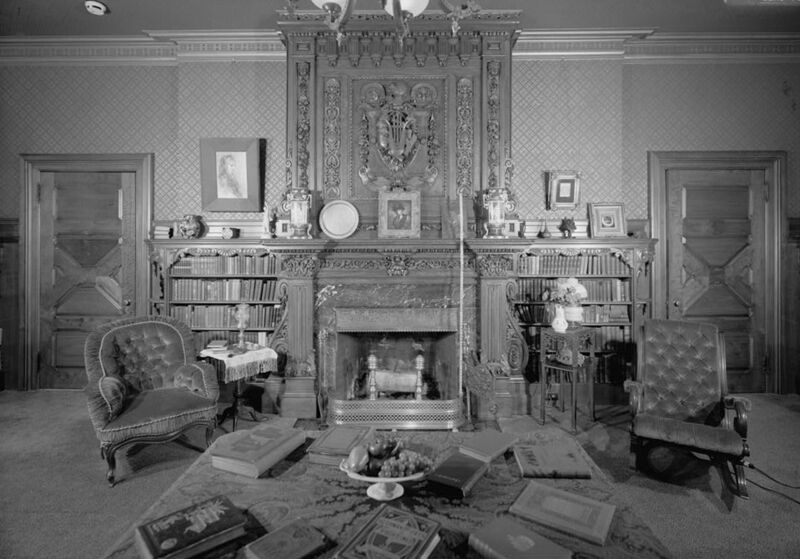 My favorite room in the house on that first visit was the library, with a conservatory at one end, and built-in bookcases around all the walls. How I wanted a room like that of my own. The enormous hand-carved mantel in the library, which Mr. 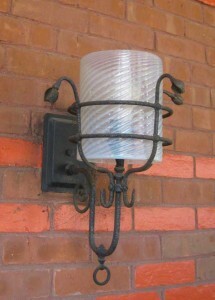 Twain had bought in Scotland, had then just recently been found in a barn in Connecticut and saved from destruction and reinstalled in the room. I went back several times and the same lady always answered the door. She eventually said I didn’t need to pay, and she no longer bothered to accompany me as I walked through the house. She had other duties, and she seemed to like having an inquisitive and well-mannered boy in the house with her. I was free to explore to my heart’s content. I don’t recall there ever being any other visitors but me. One day I asked the lady if I could bring some friends with me. She said something like, “Yes, but no trouble makers!” Three or four of us went back during summer vacation. It was a hot, muggy cloudy afternoon and as we arrived, it started to thunder and pour down rain. We were soaked. 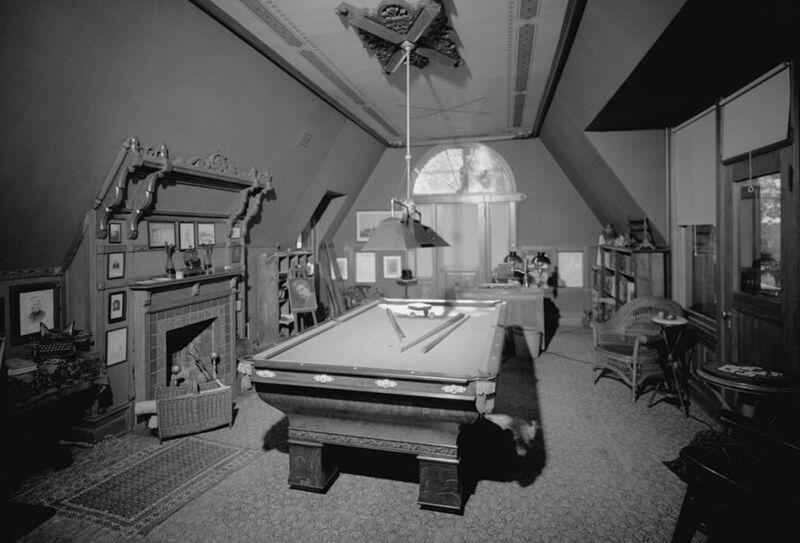 She sent us to the top floor of the mansion, where Mr. Twain’s billiards room was located. In those days, there was no furniture on that floor that I can remember. She said we could play hide-and-seek up there until we dried off, and then she’d take us through the house. In 1962, the Mark Twain House was granted National Historic Landmark status. I occasionally went back in later years, but by then there were guided tours and printed brochures, you had to stay within roped-off walkways, and no touching anything! I was a lucky boy more than a half-century ago when that kind old lady allowed me to roam through one of the nation’s most splendid Gilded Age mansions. To us, our house…had a heart, and a soul, and eyes to see with; and approvals and solicitudes and deep sympathies; it was of us, and we were in its confidence and lived in its grace and in the peace of its benediction. I believe that something of the heart and soul of Mark Twain’s house was passed on to me during those visits so long ago. That, I also believe, infused me with a strong feeling of connection to a wonderful period of American history and culture that Twain himself named The Gilded Age.